Company: . 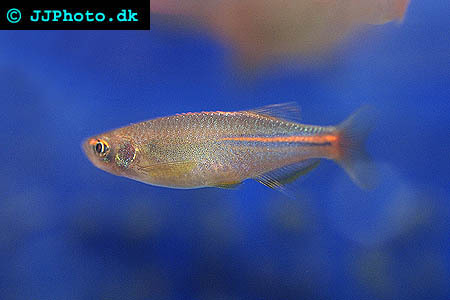 Danio albolineatus (Pearl Danio) should be kept with other small lively fishes. Aquarium setup: Danio albolineatus (Pearl Danio) are not specific about water conditions providing extremes are avoided. Danio albolineatus (Pearl Danio) is an active shoaling species that should be kept in groups. They accept most setups but prefer to have a few fine leafed plants to present to spawn, this is however not required. Make sure your aquarium since they are good jumpers.. Feeding: Danio albolineatus (Pearl Danio) will accept all types of food when kept in an aquarium. 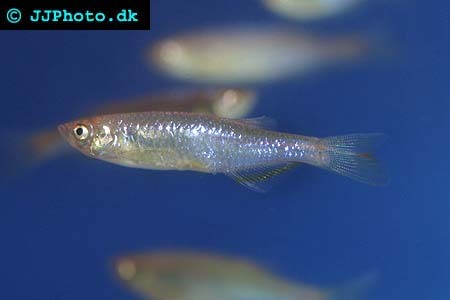 Breeding: Danio albolineatus (Pearl Danio) are very easy to breed. Males are slimmer and more intense in their colouration than females. They can be spawned both in couples and in schools. Set-up your Danio albolineatus (Pearl Danio) breeding tank with java moss or other suitable substances on the bottom so the fishes can scatter their eggs where they can’t reach and eat them. Feed the fry infusoria and newly hatched brine shrimp. Make sure the breeding tank is covered as the fishes can be so active that they leap from the water.